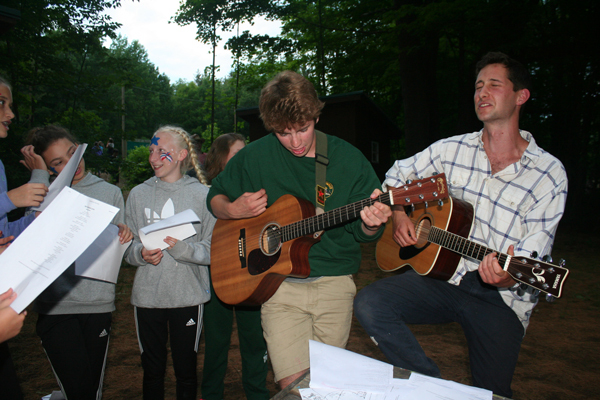 We sing a lot of songs at Camp Downer, and for a new camper sometimes it is hard to catch on. 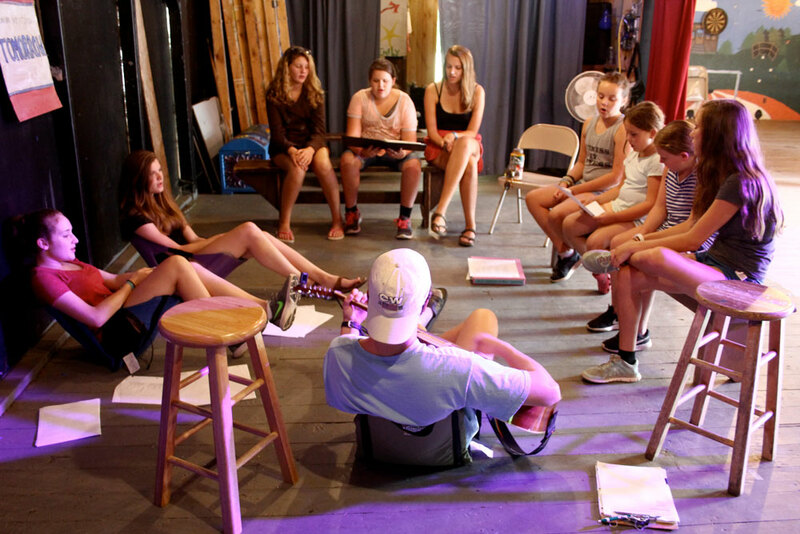 Singing class is a perfect opportunity for those campers to practice the songs that we sing at camp, but it may also be perfect for those who just enjoy singing camp songs. 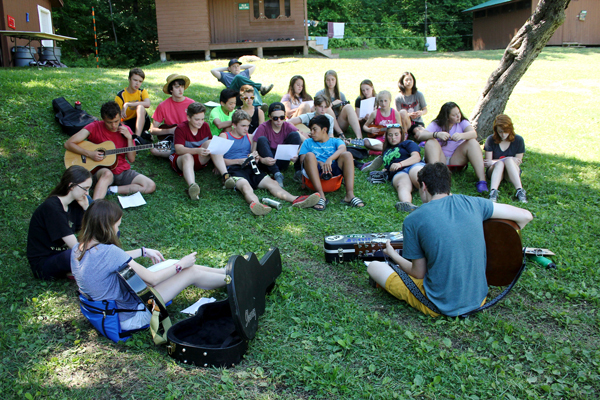 The class is run by a guitar playing counselor who is well versed in the camp songs. The counselor leads the class in vocal warm-ups and the basics of musical theory. The class sings through many songs, but tries to perfect one. 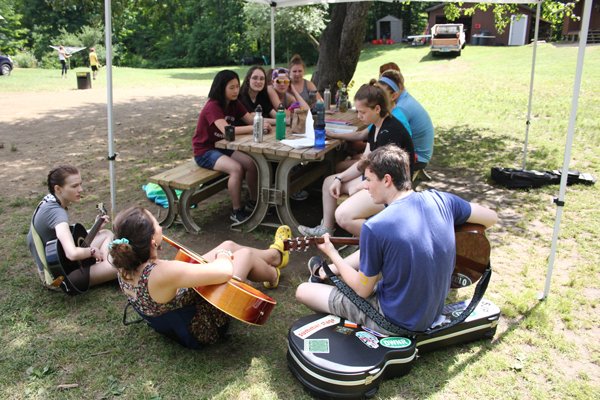 If the class is up for it, they may perform for all of camp at campfire. 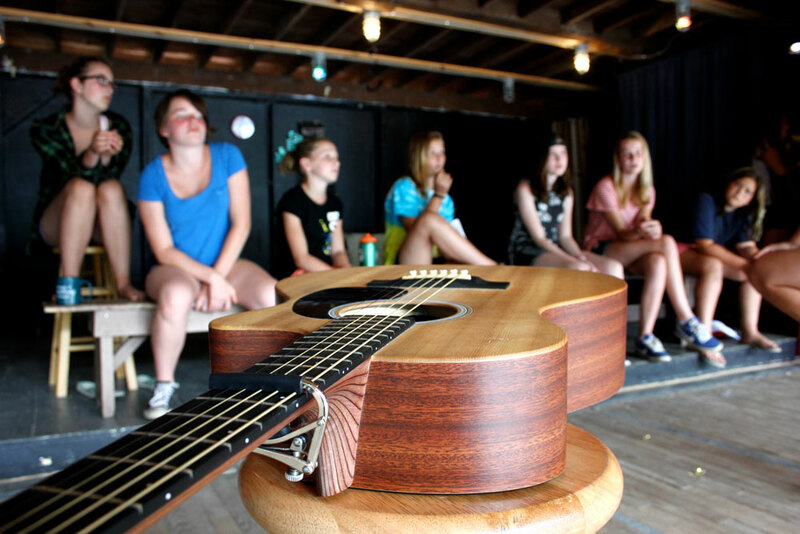 In the more advanced singing classes campers are encouraged to bring their guitars. 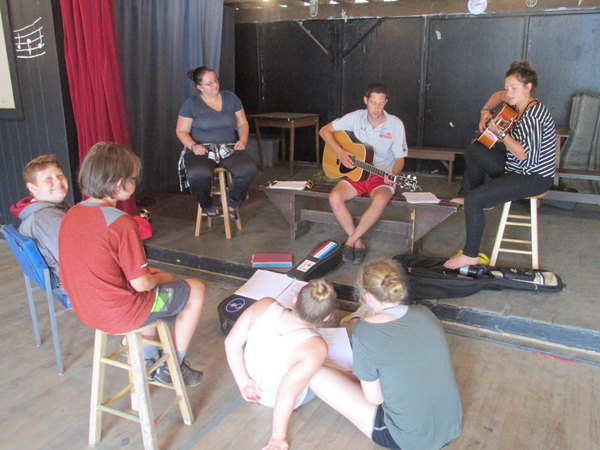 The counselor and kids work together to compose a song, perfect lyrics, and find harmonies. 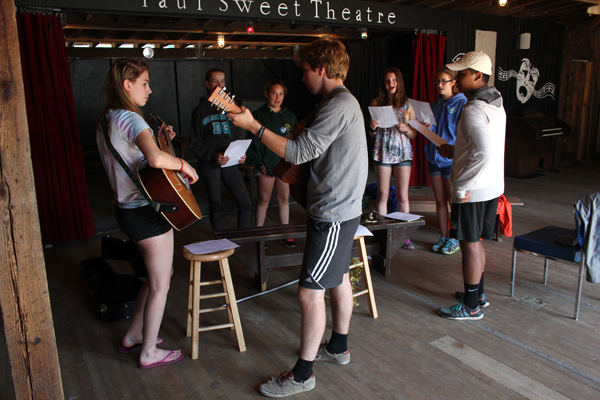 After a lot of practicing, the campers perform their song for all of camp to hear. We have had some unbelievable performances in the past.